Explore the colorful and exciting flavors of South Korea, the Land of the Morning Calm, in Spiral’s latest Flavors of the World culinary series. In collaboration with the Korean Cultural Center, Flavors of the World: SEOUL-ful Gastronomy at Spiral features Korean Master Chef Hyeon Cheol Joo from Ibis Styles Ambassador Seoul Yongsan – Seoul Dragon City as he prepares his modern take on traditional Korean specialties from March 12-17, 2018. At Spiral, the Korean atelier is one of the most popular destinations among the wide selection spanning 21 dining ateliers. The local gourmand’s appreciation of rich Korean culture, healthy lifestyle and access to travel paved the way for Korean cuisine to grow its way into the adventurous Filipino palette. 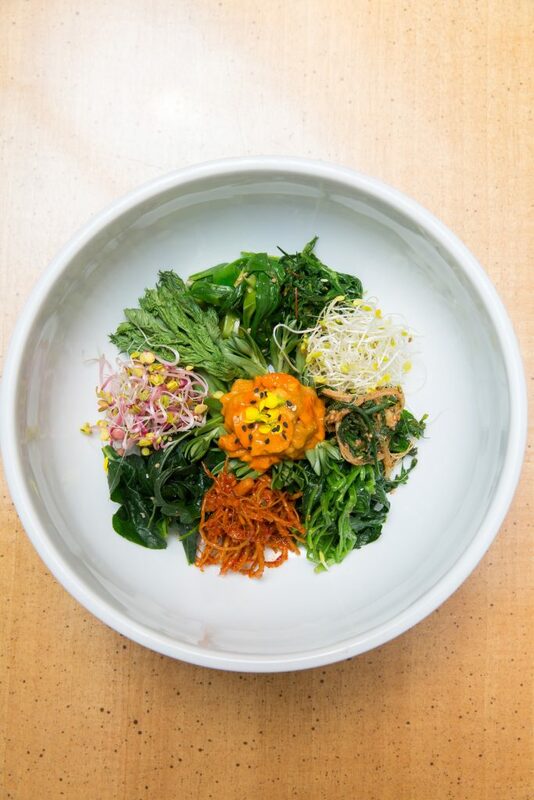 The country’s fertile land, strategic location near the seas and four different seasons make Korean food abundant, dynamic and distinctly healthy. Known for its various side dishes that may reach up to 20 different kinds in one meal, Korean cuisine is also famous for its national dish, Kimchi, which is a traditional side dish made from fermented vegetables. Over 100 varieties of this popular dish prepared with different kinds of vegetables made it popular around the world, not to mention its high nutritional value, fiber content and low calorie content. For the latest installment of Flavors of the World, Chef Hyeon Cheol Joo presents the finest specialties Korea has to offer. 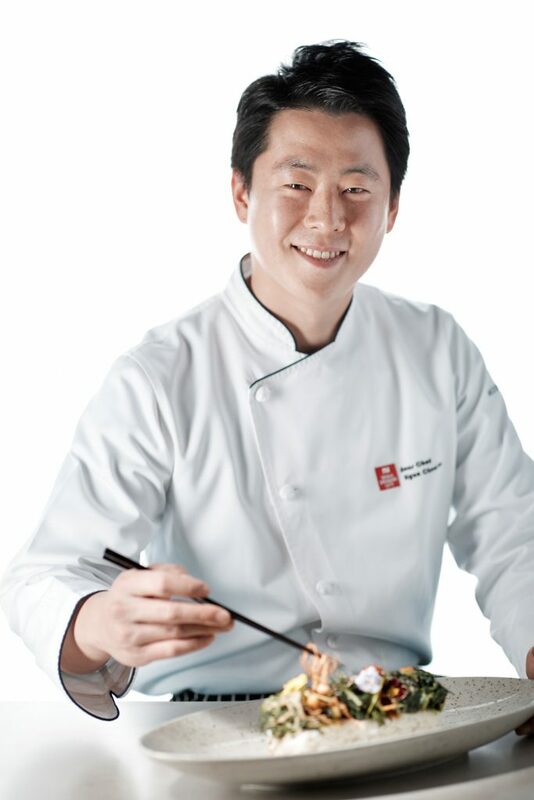 He is the head chef of the Korean station of In Style, Seoul Dragon City’s stylish international buffet restaurant. A talented young chef hailing from the province of Gyeonggi-do in South Korea, Chef Joo won the silver medal for Korean cuisine category of the International Young Chef Challenge in 2013 and gold medal for Korean cuisine category of the Seoul International Food and Tableware Festival in 2015 both held in Korea. He started as a commis chef at The Ritz-Carlton Seoul in 2013 and later had international stints in China, Turkey and the Philippines to promote Korean cuisine. Since the opening of Seoul Dragon City—Korea’s first lifestyle hotel complex—in August 2017, he has been the Master Chef behind its Korean banquet kitchen and the sumptuous offerings of In Style’s Korean buffet. Chef Joo specializes in fermentation and the technical process of ripening fruits. 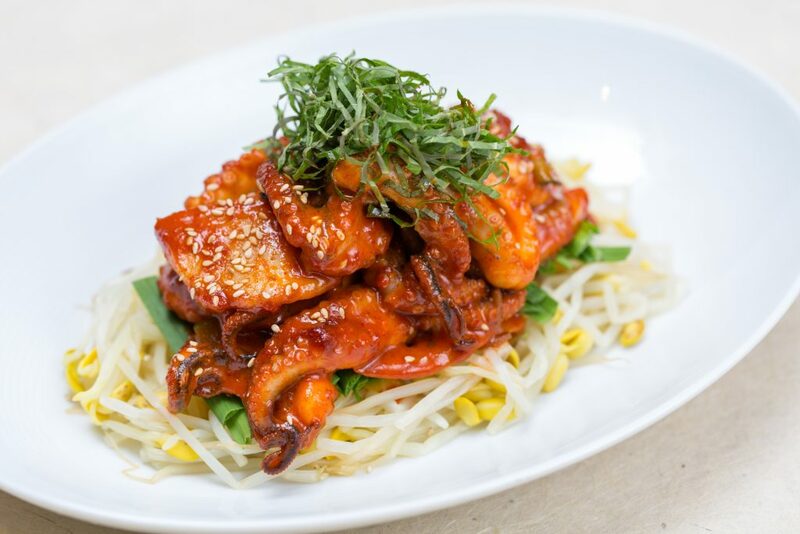 He takes pride in sourcing fresh, local ingredients and cooking dishes based with red pepper paste, soybean paste and soy sauce which are most representative of South Korean cuisine. With Flavors of the World featuring SEOUL-ful Gastronomy at Spiral, Chef Joo elevates the sumptuous culinary offerings of the Korean atelier with his signature dishes including Bulgogi (Sauteed Sliced Beef Sirloin with Mushroom), Grilled Deodeok (native Korean root vegetable) with Red Chili Paste and two kinds of kimchi—Diced Turnip and Fruit Kimchi and Fresh Korean Cabbage Kimchi. Witness his culinary prowess as he prepares Bibimbap (steamed rice with assorted vegetable in hot stone pot), Seafood-Spring Onion Korean Pancake and Bean Curd-Shrimp Korean Pancake at the Korean atelier’s live cooking station and indulge in delightful desserts including Omija punch (made with magnolia berries), Sweet rice with nuts and jujube (Korean date) and Sweet rice punch. Spiral lunch is set at Php2,750 nett (March 12th-17th) while dinner is set at Php3,200 nett (March 12th, 13th and 16th) and Php3,500 nett (March 14th-15th). Experience a culinary adventure and witness Chef Joo as he presents a cooking demonstration while you enjoy a leisurely lunch. Get an exclusive peek on how to prepare classic Korean recipes: Soy-marinated Blue Crab, Braised Pork Belly with Soybean Paste Sauce and Fresh Korean Cabbage Kimchi. Rate is set at Php3,500 nett. Join the Hallyu wave and wear your most colorful outfit for a fun-filled K-pop party featuring a resident DJ to spin the hottest Korean tunes. Enjoy free-flowing soju and local beers set at Php699 nett per person, best paired with sumptuous Korean fare available à la carte. 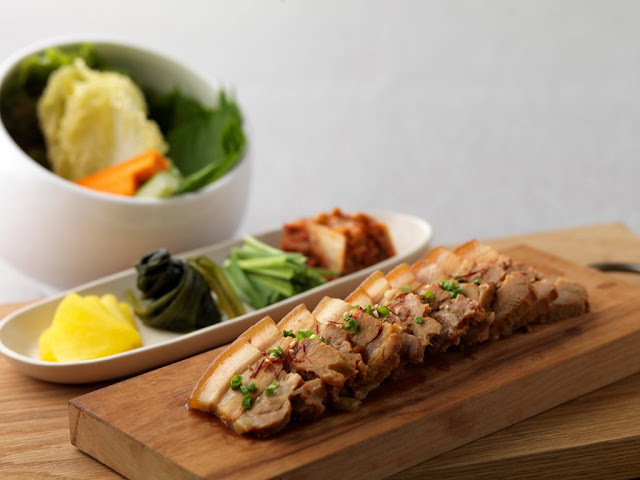 Tastethe signature flavors of Korea as Le Bar features traditional dishes from the Land of the Morning . Calm for the month of March 2018. Feast on a selection of authentic Korean culinary favorites including Beef Bulgogi, Spicy Braised Chicken and Seafood Pancake. Rate is set at Php799 nett per dish, available Mondays to Fridays, 11am to 7pm. For inquiries and reservations, please call F&B Reservations at +63 (02) 832.6988 or email H6308-FB12@sofitel.com.